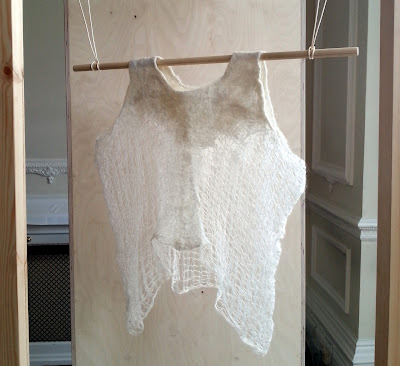 Inaugurated on 26 June 2013 in London, the exhibition ‘RIAN: New Directions in Irish Fashion Design’ was conceived with the intention to showcase the work produced by contemporary Irish designers. Although small in scale and limited in the number of pieces on display, the exhibition was carefully curated to demonstrate how a new generation of Irish designers, makers and practitioners respond to questions about national cultural identity through their creative output. 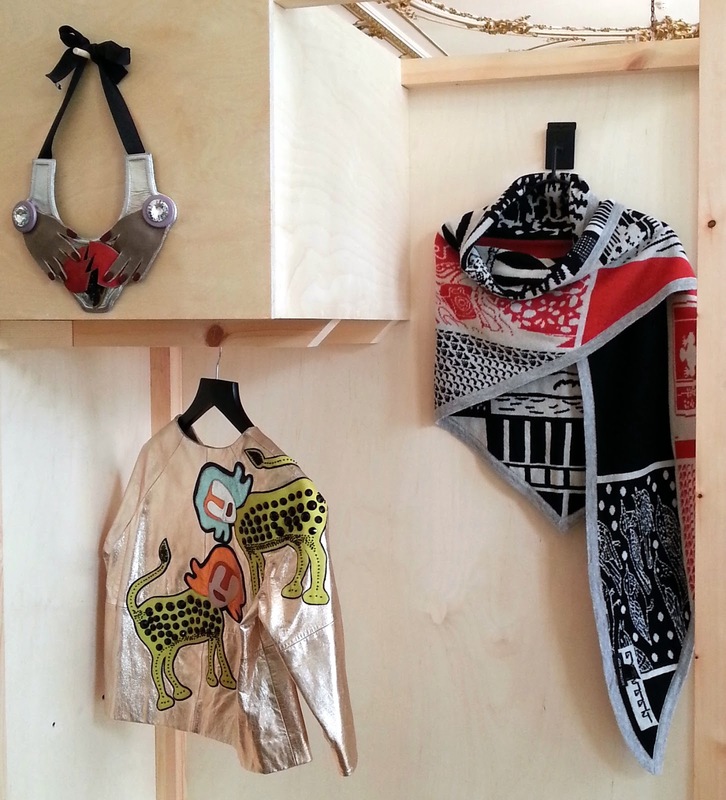 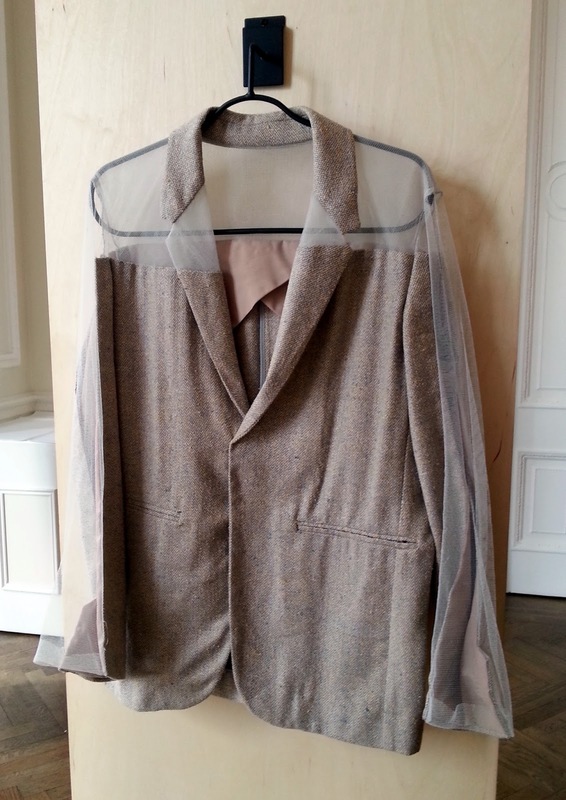 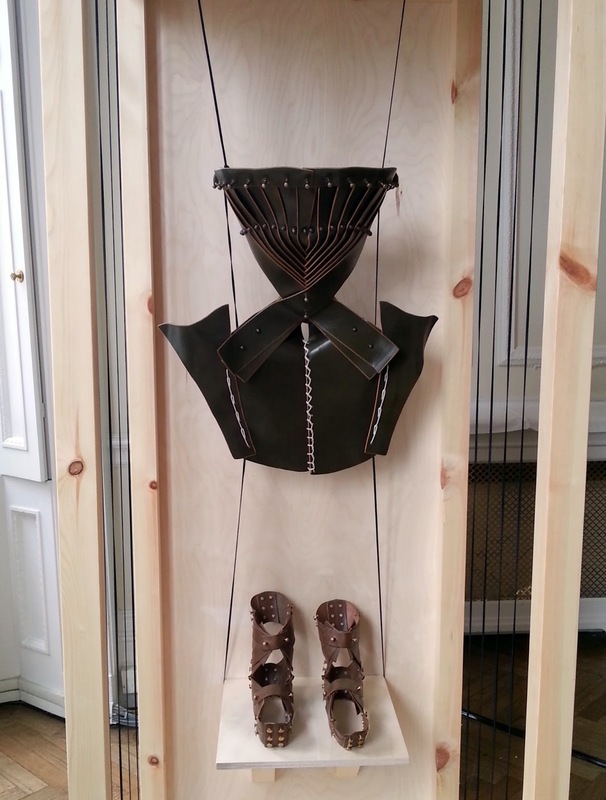 The accessories, garments and design pieces exhibited were selected to illustrate how emerging Irish designers incorporate innovation into their work while engaging with traditional craftsmanship and materials closely identified with Ireland such as linen, wool leather, horsehair and lace. 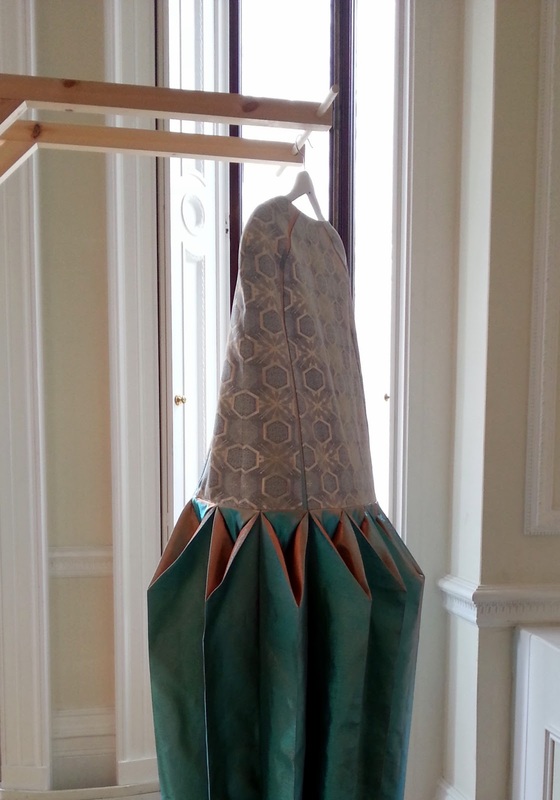 Participating designers and labels include Úna Burke, Alan Taylor and Teatum Jones (whose work is explored under the theme of construction); Derek Lawlor, Demelza Buckley and Danielle Romerill (renowned for their inventive use of techniques); Sorcha O’Raghallaigh, Lisa Hawthorn and Angela Beaumont (who frequently investigate the role of tradition in their creations); and Electronic Sheep, Joanne Hynes, Sinéad Lawlor, Liam Fahy, Natalie B. Coleman and Daniela Cardillo (for their original use of print, colour and pattern). 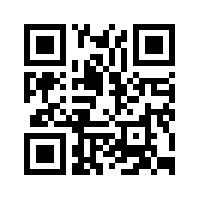 In addition, a selection of fashion films by Kathryn Fergusson, Niall O’Brien and Aoife Mcardle can also be viewed. 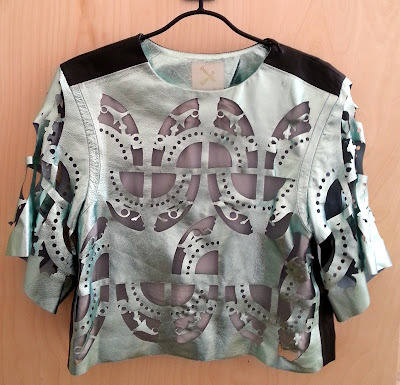 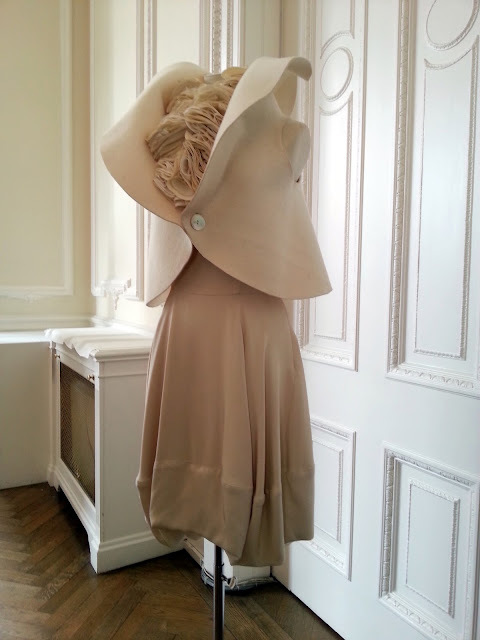 Following an opening event at the Irish Embassy, the pieces that comprise ‘RIAN: New Directions in Irish Fashion Design’ can now be seen at the Canary Wharf Mall and at The Marylebone Hotel in London. Over the years, what has repeatedly drawn me to L. S. Lowry’s paintings is the enigmatic (and utterly poetic) fascination with English urban and industrial landscapes and the ways in which they are silently populated with anonymous figures whose sole purpose seems to be the embodiment of life’s existential mechanics. In their blank expressions and absence of individual traits, Lowry’s characters are as much representative of human emotions as they are of the city’s industrial surroundings: they perambulate the streets going about their daily routine while remaining uninvolved with each other and the objects that surround them. 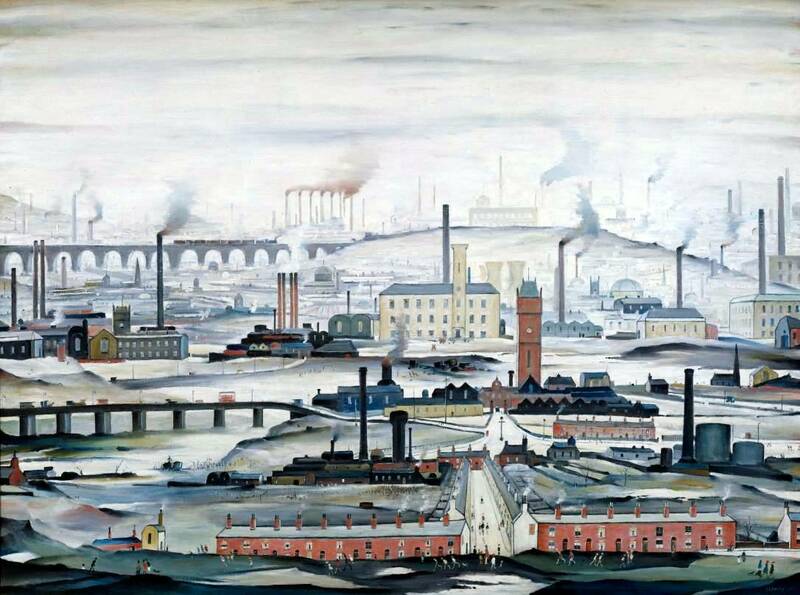 And yet, the mere presence of these figures suggests a powerfully emotional sense of purpose and hope for individual lives and collective existence within the confines of the city. 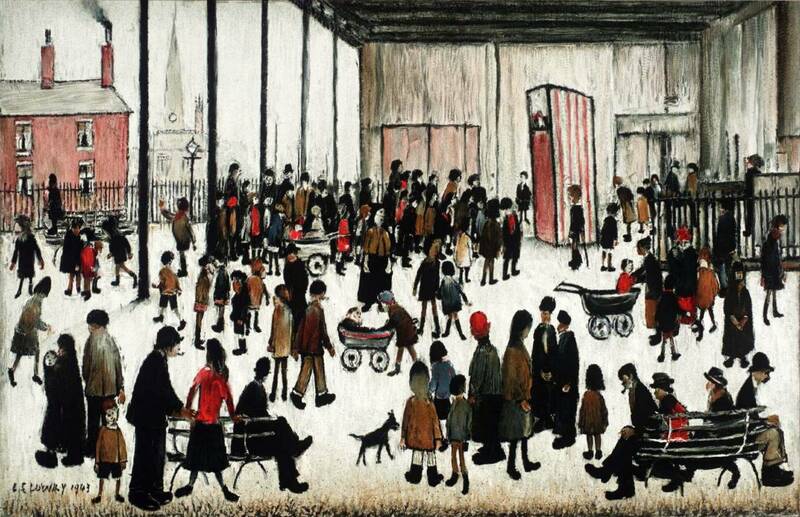 The discombobulating relationship between Lowry’s ‘matchstick characters’ and the landscapes that they inhabit is an inevitable focal point of the exhibition ‘Lowry and the Painting of Modern Life’, which opened at Tate Britain in London on 26 June 2013. 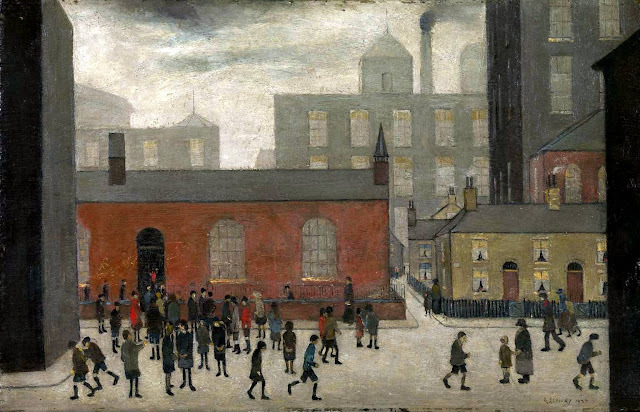 The first public display of Lowry’s work since his death in 1976, the exhibition features over 90 paintings with a curatorial focus (by TJ Clark, Anne M Wagner and Helen Little) on his celebrated urban landscapes and how they quietly narrate the impact of the industrial revolution on city life. 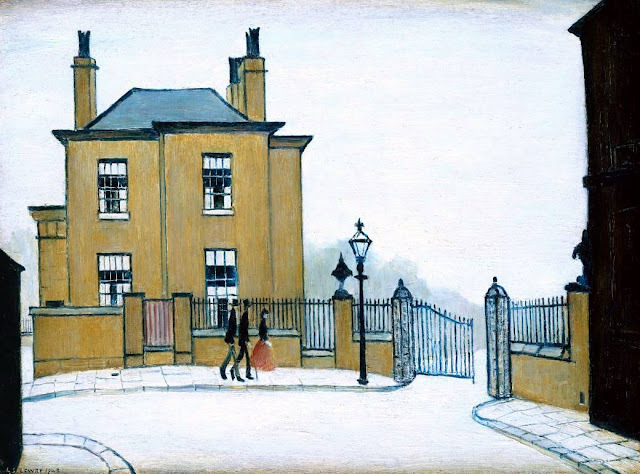 In addition, the exhibition explores Lowry’s connections with French art and how the appreciation of his work by his French peers and critics resulted, during a period of his life, in having his paintings exhibited more frequently in Paris than in London. 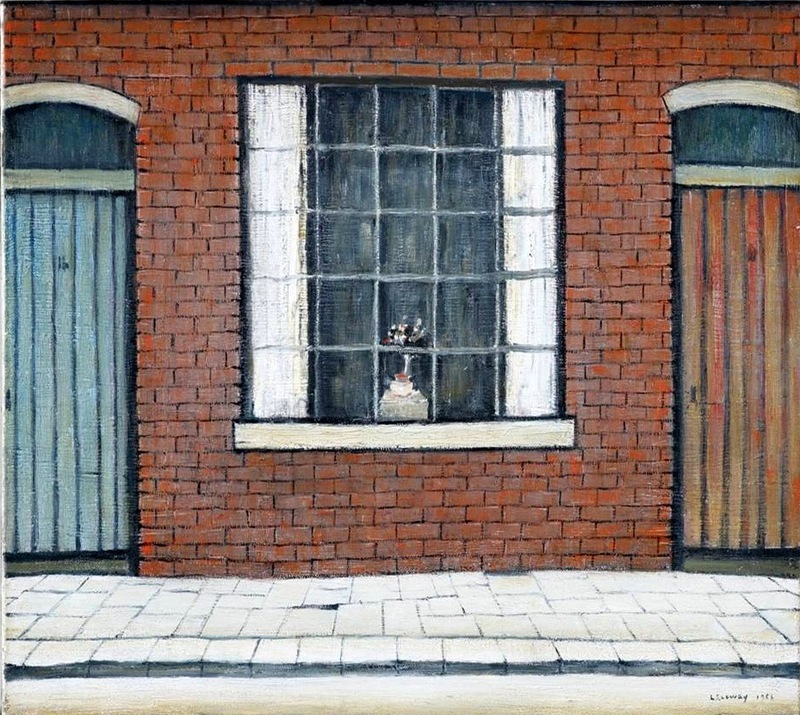 Laurence Stephen Lowry was born in Stretford, Lancashire (in North-West England) on 1 November 1887. 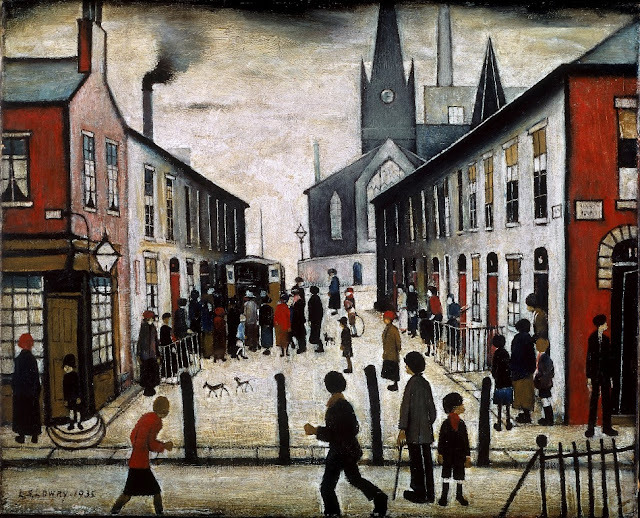 After leaving school at age 17, he worked as a clerk at a firm of chartered accountants in Manchester while he studied art in the evenings. During this time, he was introduced to Impressionism by one of his teachers, the French painter Pierre Adolphe Valette. 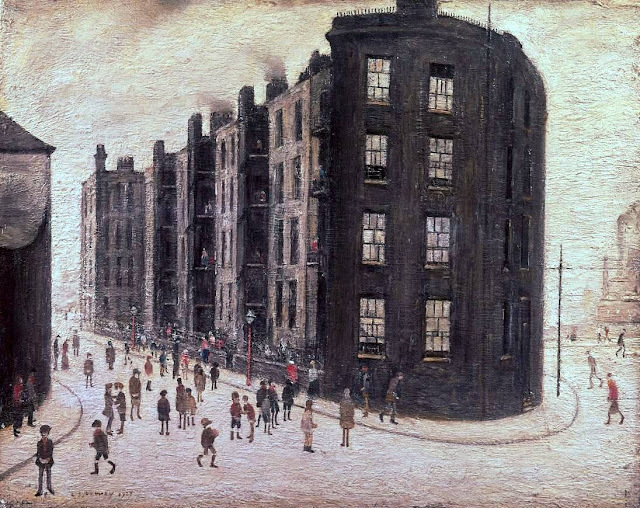 In 1910 he became a rent collector and clerk with the Pall Mall Property Company in Manchester, where he remained in full-time employment until his retirement in 1952. Lowry found inspiration for a considerable part of his work in Pendlebury, near Manchester, where he lived between 1909 and 1948. 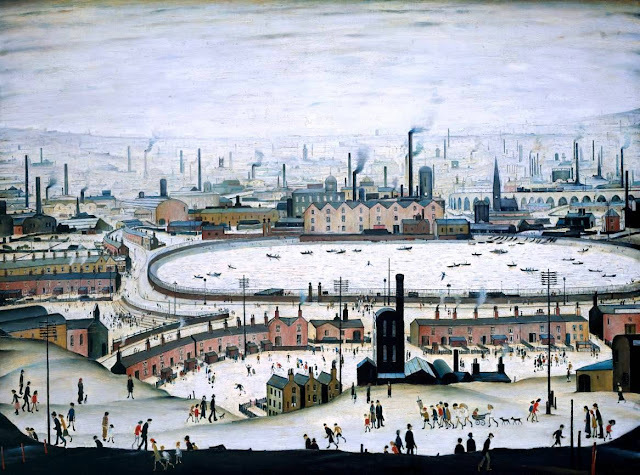 Although he is primarily associated with street scenes of industrial cities in northern England, Lowry also painted views of the seaside and of harbours (particularly in his later years), football and cricket matches, protest marches, funfairs, evictions, arguments, prayer meetings, accidents and workers going to and from the mill, making his work a veritable illustrated account of British working-class life in the mid-twentieth century. 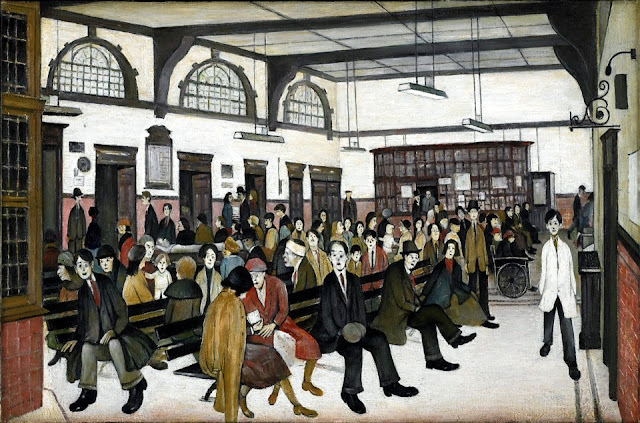 Throughout his life, and despite his long periods studying painting at the Manchester School of Art and the Salford Royal Technical College, L. S. Lowry frequently described himself as a self-taught artist who did not care for public recognition and social status (as demonstrated by his declining of five British honours, including a knighthood in 1968). 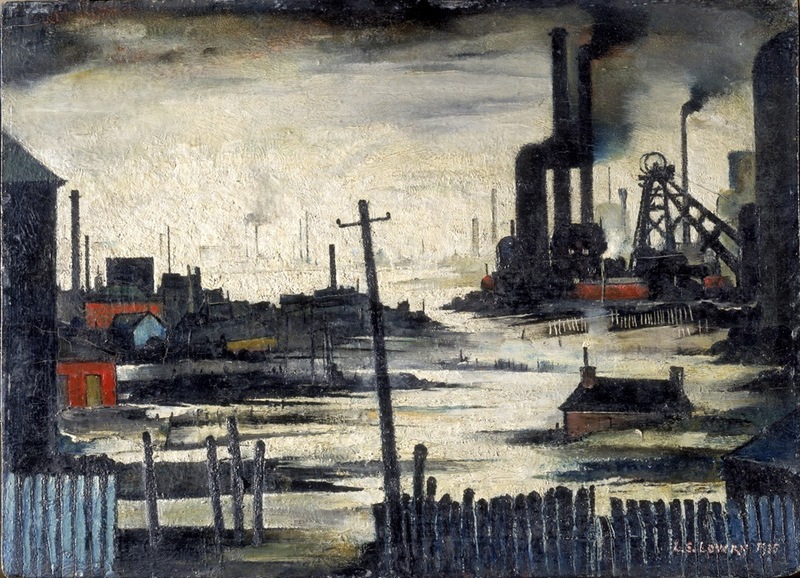 Although he was awarded honorary art degrees from the Universities of Manchester, Salford and Liverpool, and was elected a Royal Academician in 1962, he remained detached from the art world until his death on 23 February 1976. 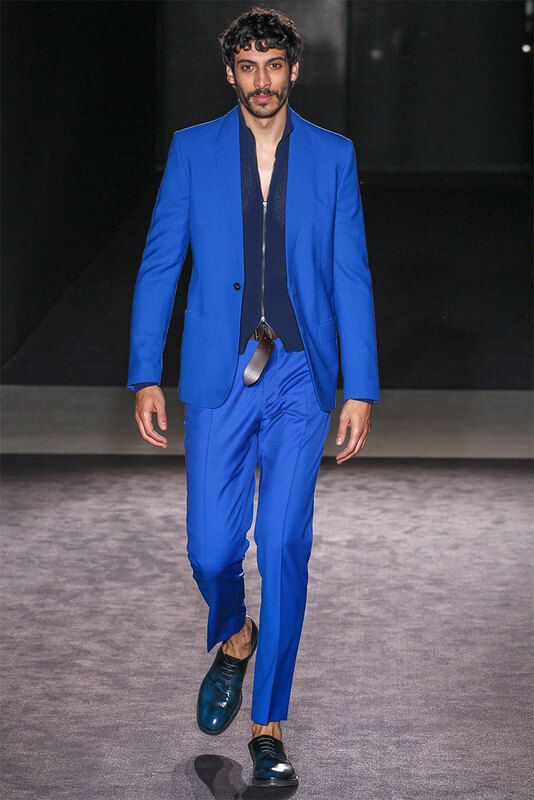 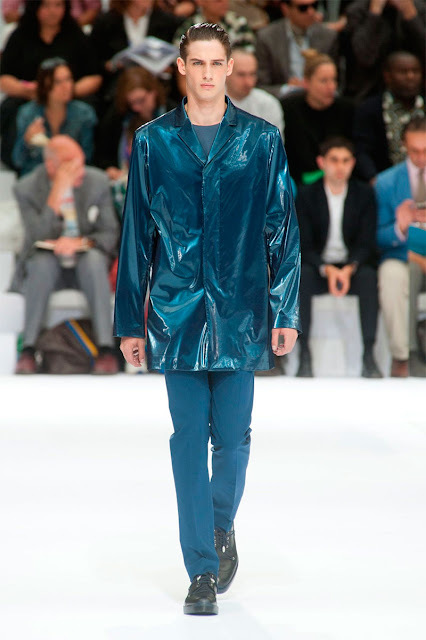 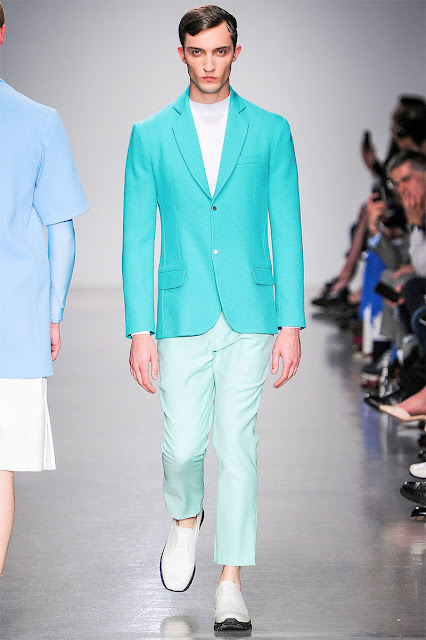 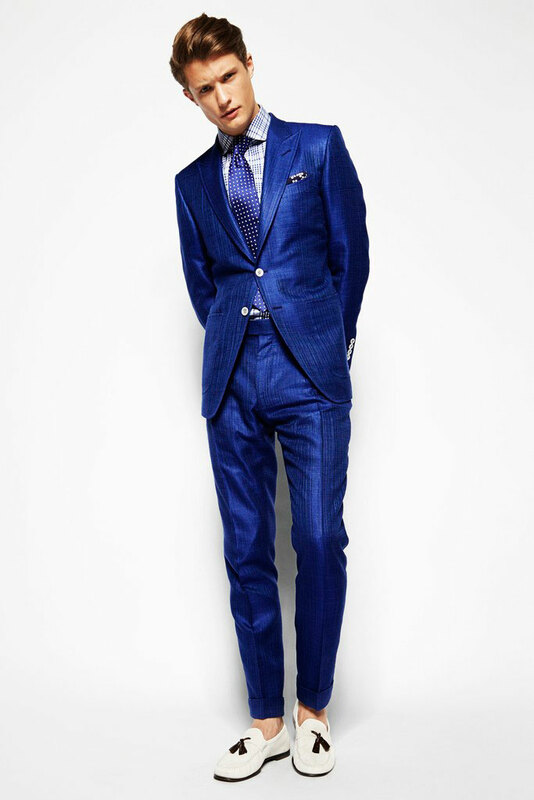 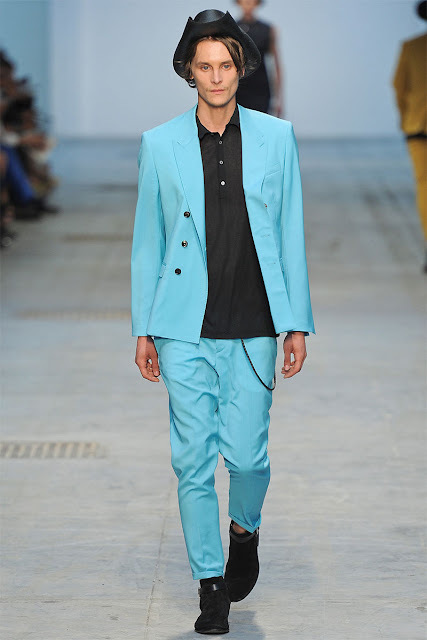 If there is one colour that will be impossible to avoid in men’s fashion during spring/summer 2014, that will most certainly be blue. 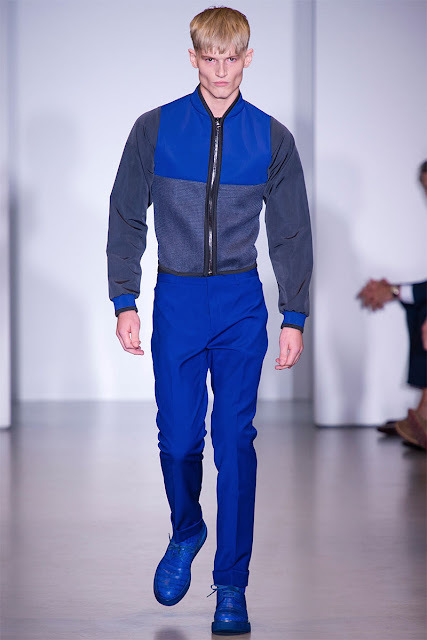 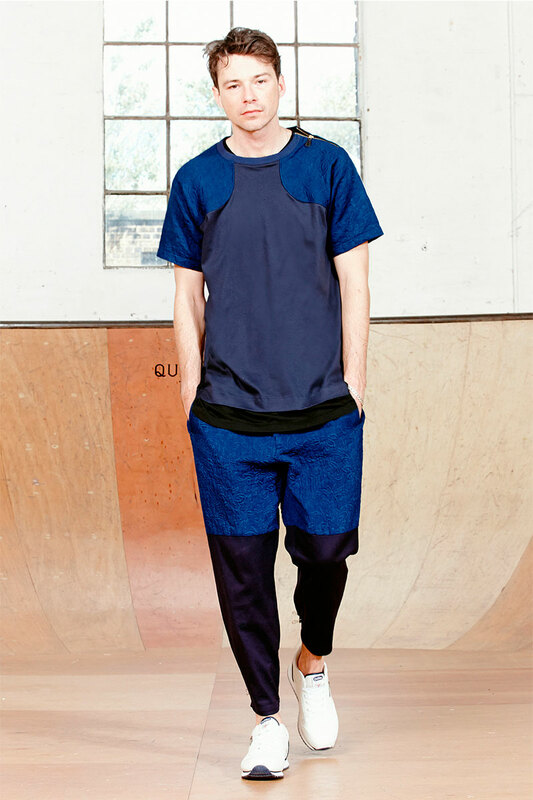 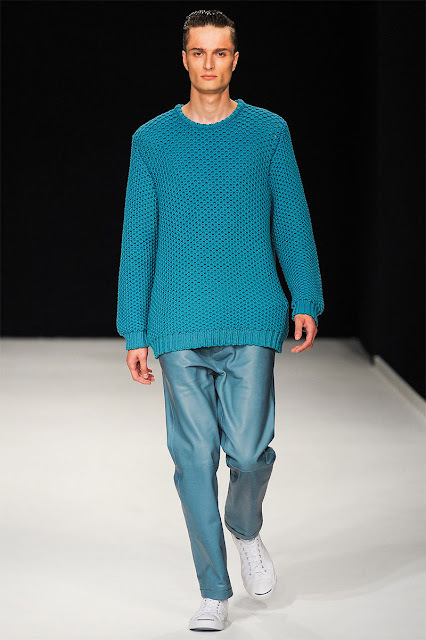 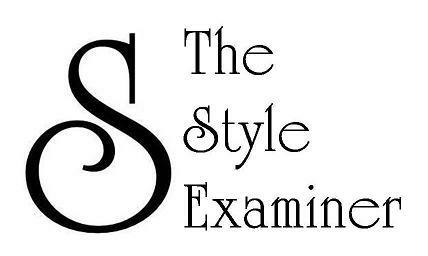 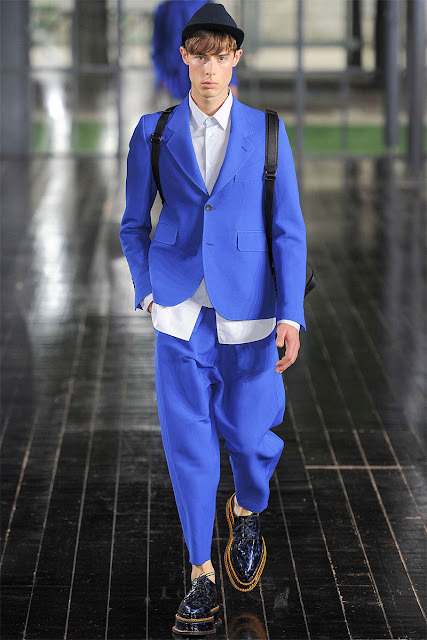 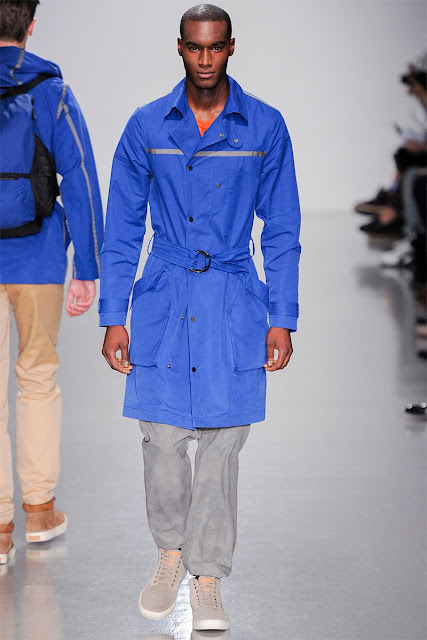 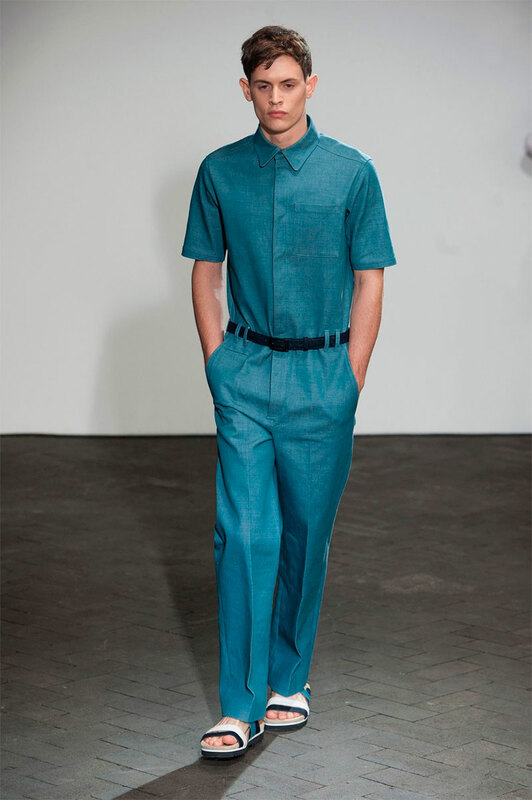 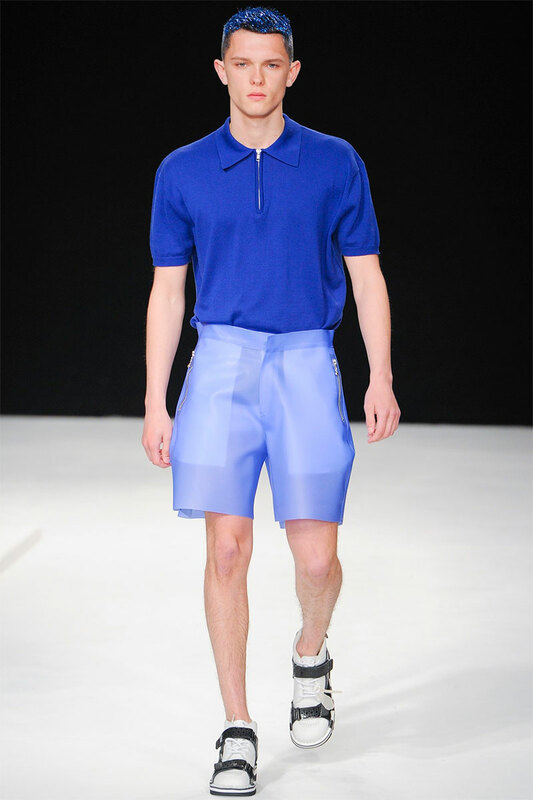 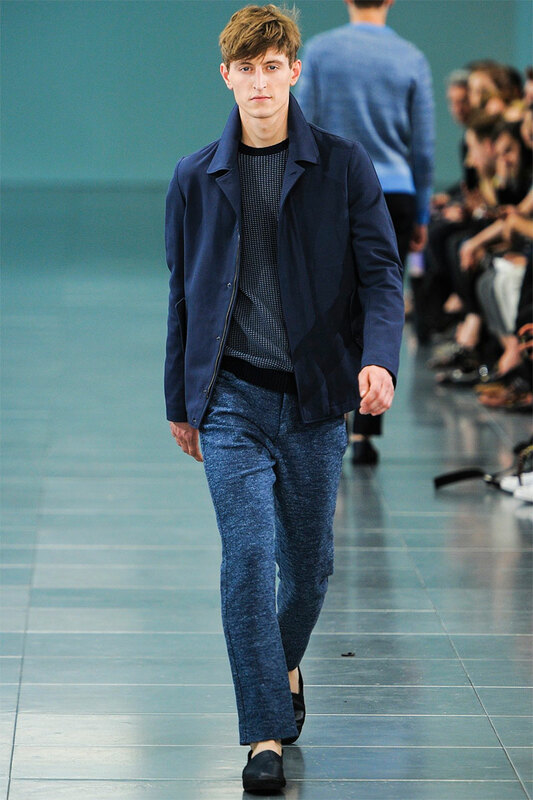 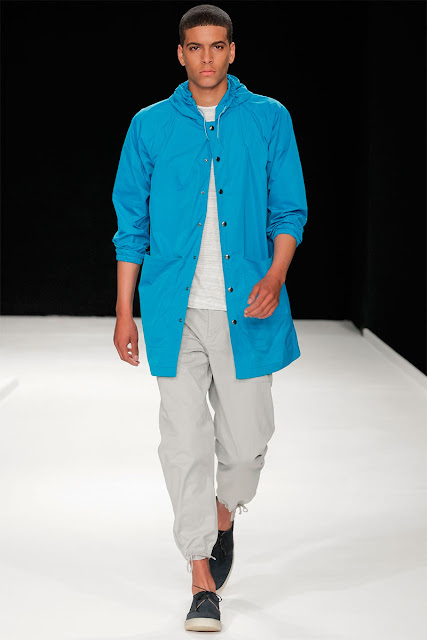 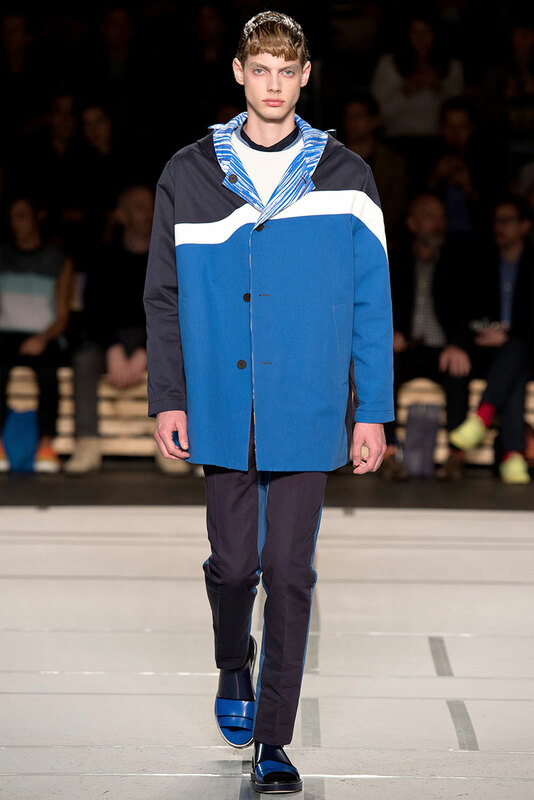 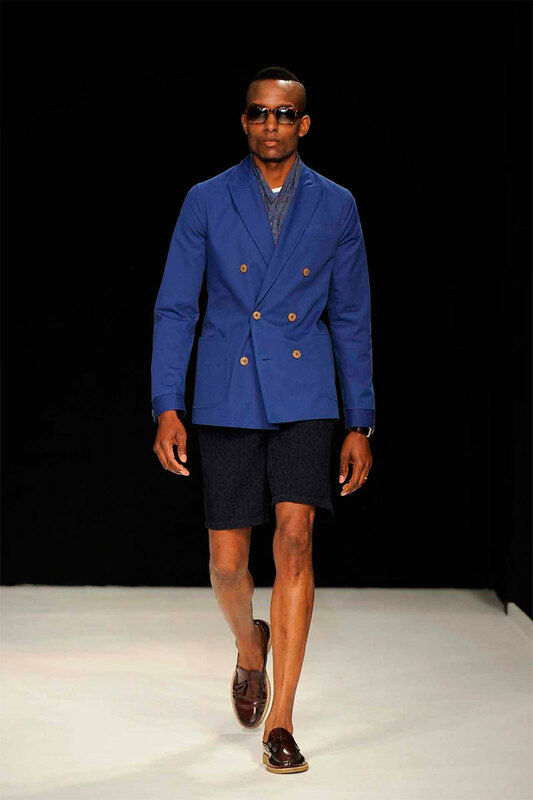 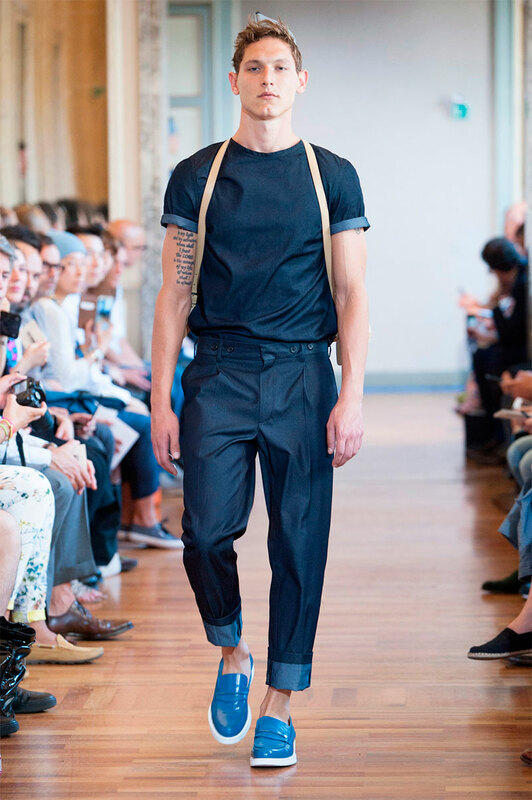 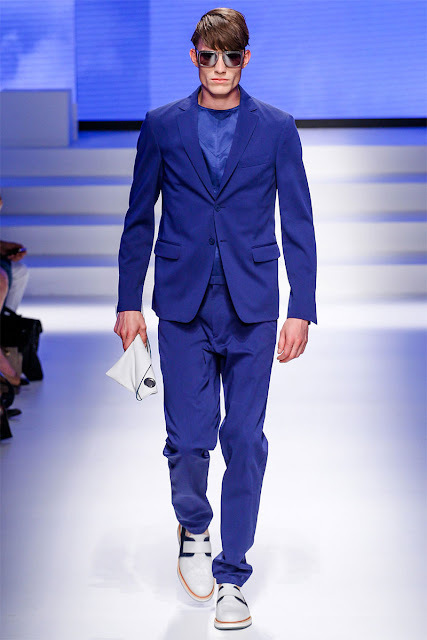 Throughout the hundreds of runway shows and presentations that took place during June 2013 in London, Florence, Milan and Paris to unveil spring/summer 2014 menswear collections, it was very noticeable that designers and brands have decided to focus their colour palettes on vivid shades of blue while also re-examining the aesthetic benefits of unwashed dark blue denim. 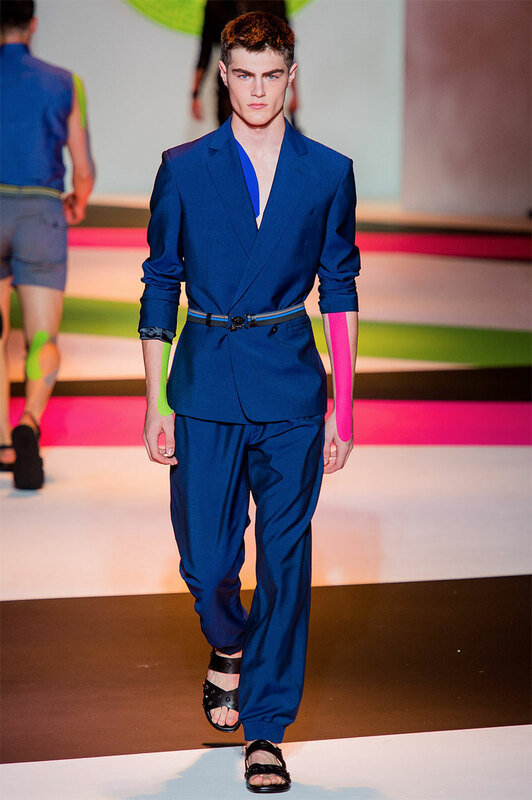 For next year’s warmer months, expect stores to be awash with garments, accessories and footwear in attractive shades of navy, cerulean, turquoise and cobalt.